Use the form below to contact accommodation Caribella directly. 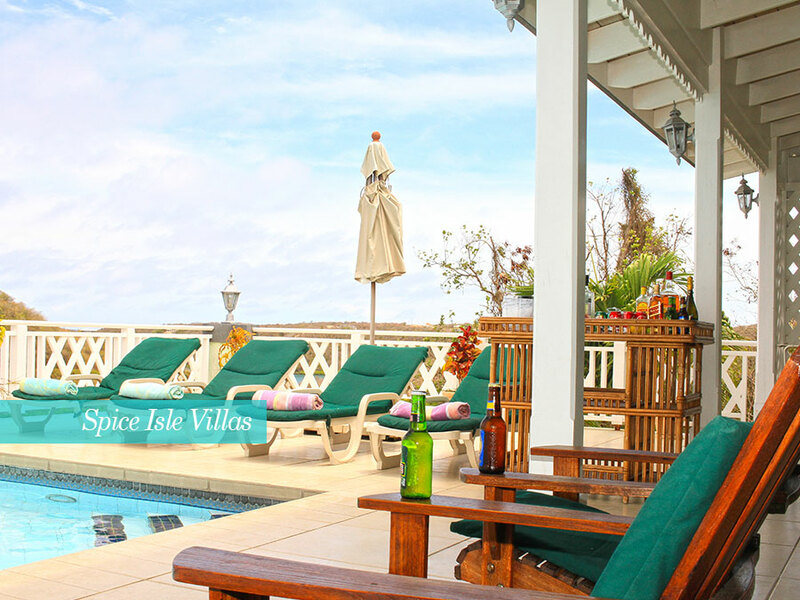 Set on a hillside on the southeast coast of Grenada, Villa Caribella has an idyllic location for anyone looking to experience a Caribbean getaway in a more rural location. 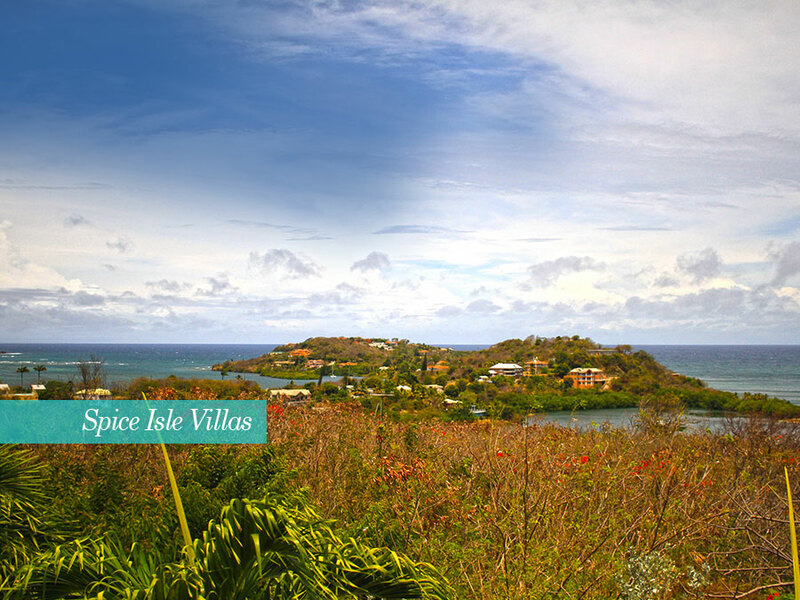 The view from the hillside overlooks three picturesque tropical bays, and is a picture you will never forget. The Villa itself sits on a hillside amongst beautiful flamboyant trees, and is set away from the main road so that your stay is not disturbed, and you are able to have privacy for the duration of the time you are in the villa. The living and dining area is spacious, and are positioned in the villa in such a way that they fully benefit from the marvellous views of the bays. 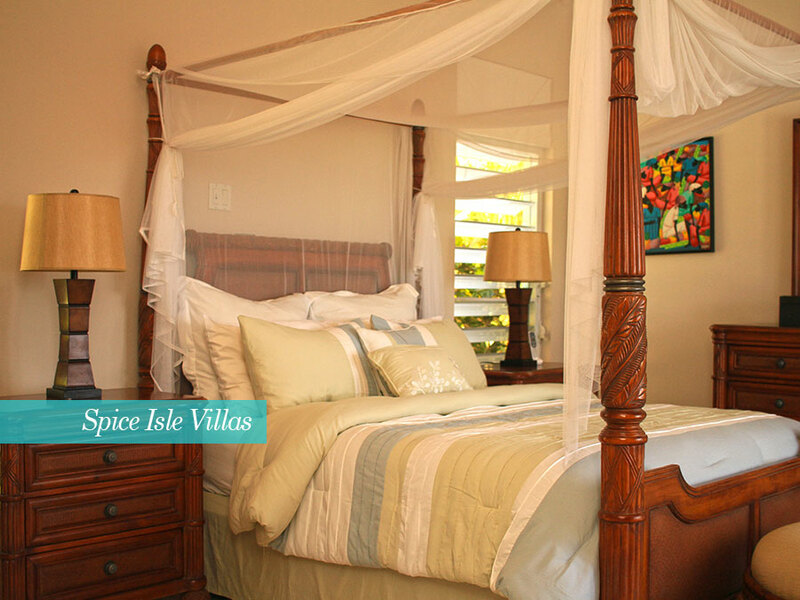 The house is furnished with classical style Caribbean furniture that creates a very welcoming aesthetic, and have plenty of seating areas for the number of guests that will be staying. Walk out the glass patio doors from the living room and you will find a large saline swimming pool built into the patio that looks out over the bays, with deck chairs and outdoor dining furniture also there, allowing you to eat outside in the warm Caribbean sun, which the patio gets plenty of. 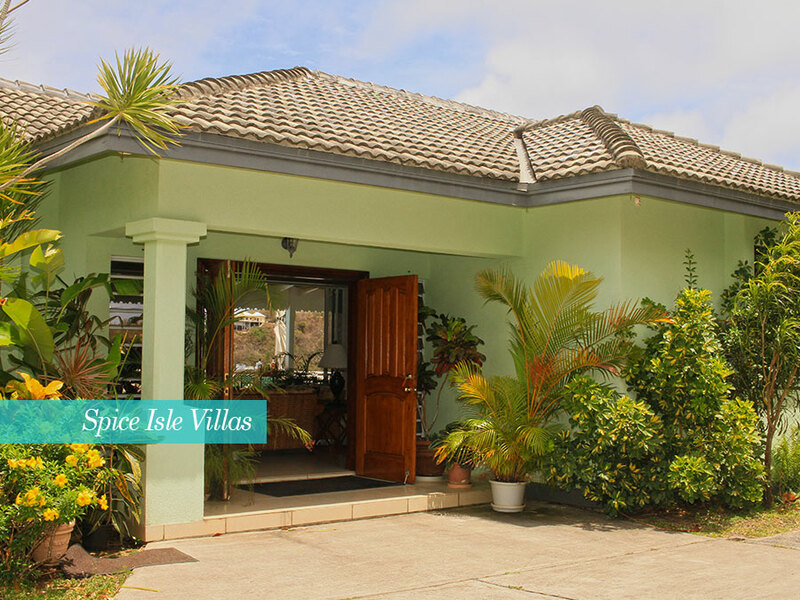 All three bedrooms are air-conditioned and also enjoy the view across the bays. The master bedroom and second bedroom are situated at opposite ends of the Villa for added privacy, while the master bathroom has an oversized shower that also makes the most of the stunning views. The third bedroom is downstairs but also features the same view and has it’s own kitchen and patio to add to the privacy, making this an ideal villa for parties who want the experience of having their individual holidays too. 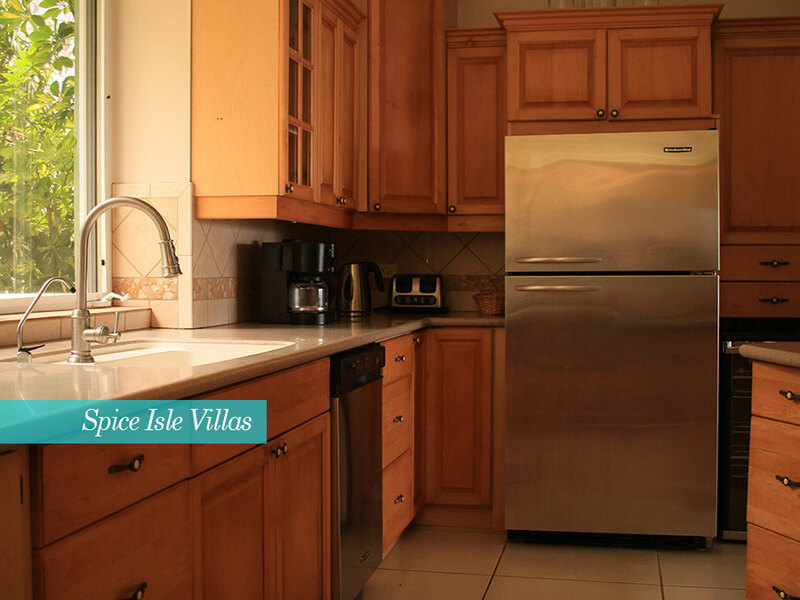 The main kitchen is fully equipped, and your housekeeper cooks to your delight, catering to your meal preferences. You will be greeted with a complimentary meal when you arrive, as well as breakfast on your first morning. For those who are excited to get out into the island and explore, the capital city of St. Georges is only a 15 minute drive away, as is the famous Grand Anse beach. There are also a number of smaller beaches closer to the Villa. 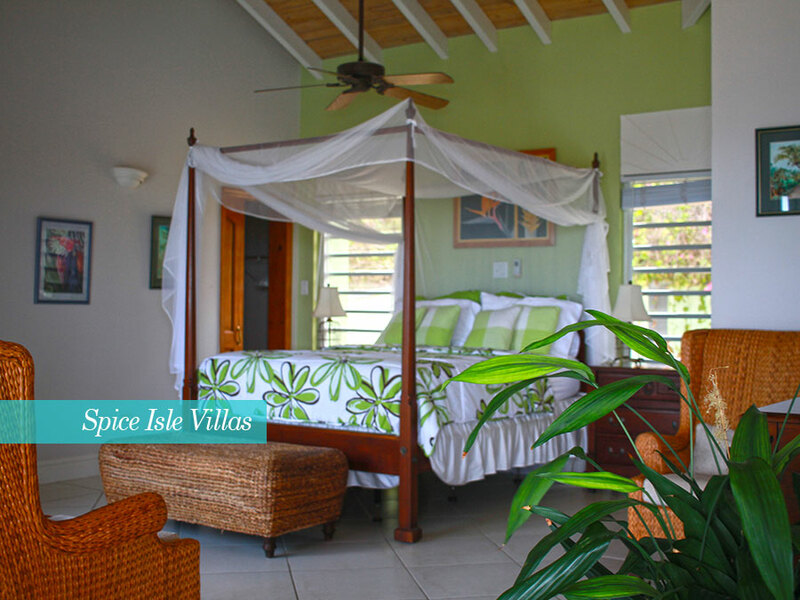 For those who are looking to experience a Caribbean getaway and to enjoy their privacy, then staying at this villa will provide you with Caribbean memories that will last a lifetime. 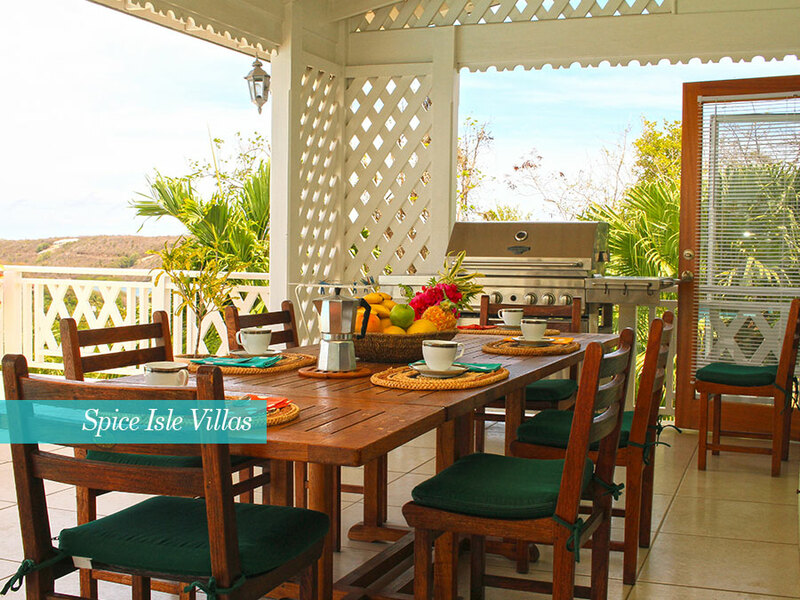 Villa Caribella has a spacious living and dining area, well appointed so that the view is totally unhindered, with classical Caribbean style furnishings that welcome the visitor inside. All three bedrooms are air conditioned and enjoy the view, the master bedroom and second bedroom being placed at either end of the villa for personal privacy. The third bedroom is downstairs and has its own kitchen and patio for additional comfort and privacy. The main kitchen is well equipped and your housekeeper is a tremendous cook and will prepare mouth-watering delights for you. Each bedroom has an ensuite bathroom, powder room for living area. Complimentary vehicle is provided; client to pay US$15.00 per day full insurance coverage. Maid and laundry service is provided 5 1/2 days per week, meal preparation mon – fri and until 1p.m Saturday, is included in the rental. Upon your arrival, the housekeeper, Denise, will have a complimentary meal with wine ready for you and a welcome basket with breakfast items also. Denise will be happy to accompany you for grocery shopping and will assist you in meal planning for your stay. Denise is generally at Villa Caribella after 8:00 am Mon – Sat, but on Sat she leaves at 1:00 pm. Denise is also available for baby sitting at a rate of US$5 per hour and can stay late by request, or on weekends, at a rate of US$7 per hour. – Ground transportation to and from the airport. 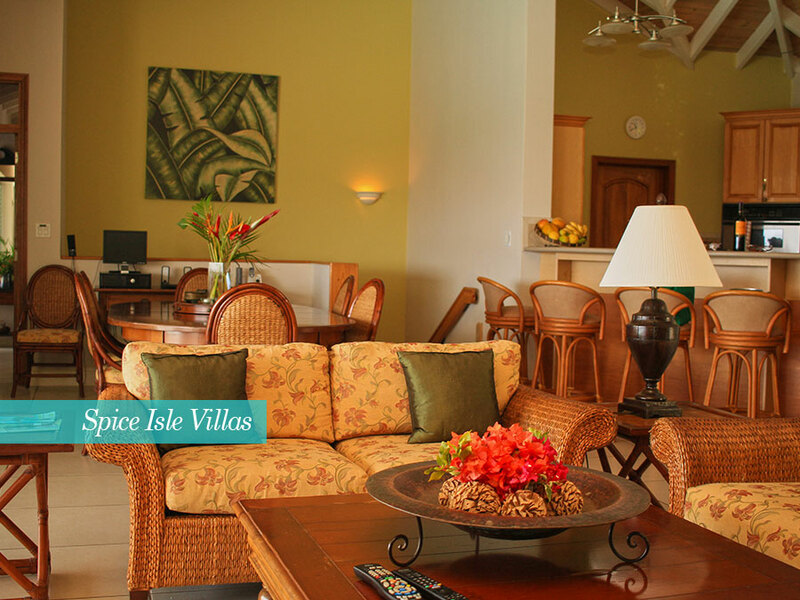 All rental rates are based on 2 persons per bedroom and are subject to change. Service charge is not included in your rental, so please reward staff for service. Minimun Stay: 7 days / Christmas/New Year: 14 days Children under the age of 2 years don’t count for rate purposes. 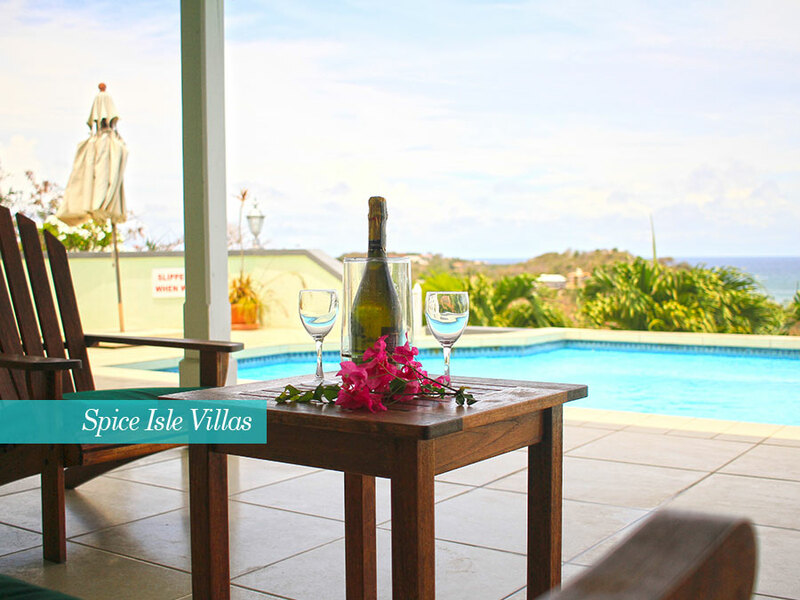 The best value luxury villa on Grenada. Now with special "Credit Crunch" prices and car rental included. 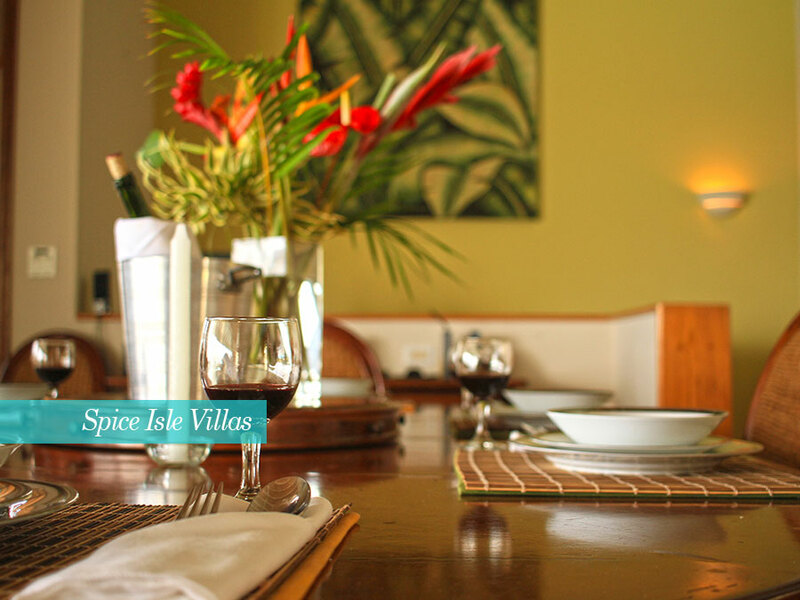 Our rates also include a welcome drink and first night's dinner cooked by our wonderful cook/housekeeper Denise, and a wonderful tour of one of Grenada's famous private gardens. A US$500 refundable damage deposit is required. 25% non-refundable deposit is payable to secure booking, balance to be paid 60 days prior to arrival for high season, and 45 days prior to arrival for low season bookings. Grenada is a very special island. Off the well-trodden Caribbean path, it is unspoilt and not over-developed, yet remarkably refined. The beaches are fabulous and not crowded, the rainforests are havens of nature and make for great trekking, the waterfalls are fun, the stores are good, the roads are smooth (by Caribbean standards! ), the restaurants are varied and excellent. The people are warm, gracious and welcoming. Grenada is one of the safest and friendliest islands you can find. 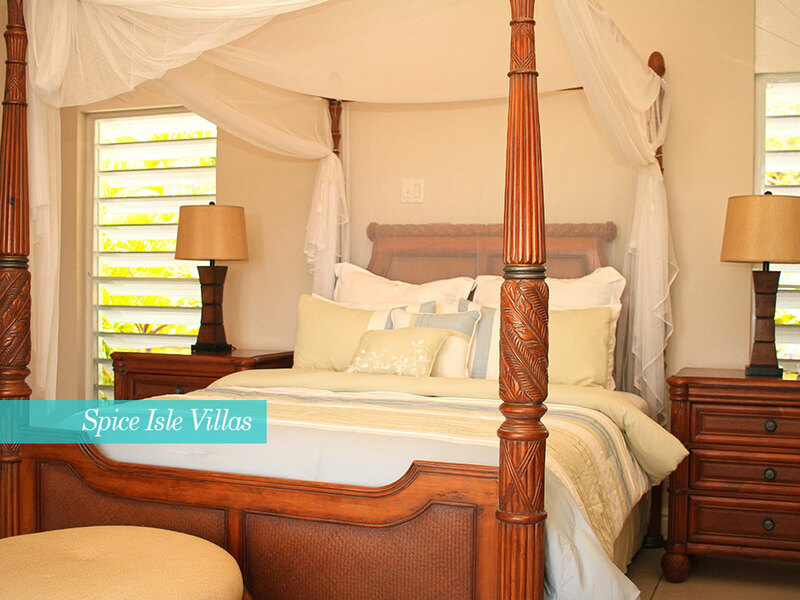 Renting a villa here is one of the ultimate way to get the most from this beautiful and memorable island. With less than 110,000 inhabitants and only 133 square miles of land, the tri island state of Grenada, Carriacou and Petite Martinique appears almost invisible on the world map. Despite its size, the island is widely known for its abundance of spices, unspoilt beauty and friendly people. It has often been questioned though, how an island so tiny, can possess a people with such great character and huge hearts. In 1961, when the Italian cruise liner, the Bianca C caught fire and sank, hundreds of Grenadians rushed to the aid of those onboard, feeding, sheltering and clothing them as needed. 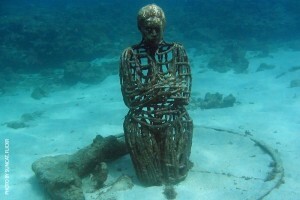 Today, a statue known as the ‘Christ of the Deep’ still stands on the Carenage in the town of St. George as an expression of gratitude for the great acts of kindness to the people of Grenada. This was not the first time Grenadians created a buzz because of humility and acts of kindness. In 2005, Lance Corporal Johnson Beharry VC; a Grenadian British Army Soldier was awarded the highest military decoration otherwise known as the Victoria Cross for saving the lives of members of his unit on two occasions. To date, he is the youngest recipient and first man to be awarded the Victoria Cross since 1982. With over 30 reef and wreck sites around the island there are plenty of diving opportunities for both experienced and novices divers. Serious snorkellers may want to explore the spectacular sights of the deeper reefs, and boats run regular trips from Grand Anse to places such as Moliniere Marine Park. 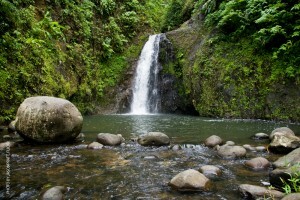 Lush mountainous interior rainforests are havens of nature and make for great trekking. Waterfalls provide stunning wild swimming opportunities. Private yacht trips can be arranged. You can choose your own itinerary and enjoy a wonderful day on the ocean with stops for snorkelling and swimming. While in Grenada you may be able to see the Leatherback turtle or the smaller Hawksbill turtle. The season begins on 1st April and runs through to the end of June. Tours run nightly, in season. Go on a sea safari for the chance to see whales and dolphins – the success rate of such trips is astonishingly high. Appreciate the natural beauty Grenada has to offer and access places that can only be visited by kayak. Every trip is its own adventure including deserted islands, gliding amongst the coral reefs and mangroves, and seeing beautiful flora and fauna. Experience Grenada by bike! Bicycles, including mountain bikes and cruisers can be hired and bicycle tours for all levels and cycling abilities are also available. Well-organised sport fishing trips are available on a tailor-made basis to suit the client. Go in search of marlin, tuna and sail-fish. The brand new National Stadium is fast becoming a major cricket venue and it will play host to many major matches each year, including one-day internationals. There are plenty of option party and relax, or as the locals say 'lime'. From small family owned bars to the larger bars and clubs in St George's where there is live entertainment at most restaurants and hotels. Restaurants in "the Caribbean kitchen" are known for their spicy dishes, exotic fruits and the most delicious array of sea food. A culinary diversity of French, Spanish, Indian and African cooking, makes for an unforgettable dining experience. Grenada's music nightlife is not as well known compared to other islands. However, there are a few hot spots where visitors and locals alike, can party till the early hours. Music is varied with a choice selection of Calypso and Reggae which give them that distinctive Caribbean feel. 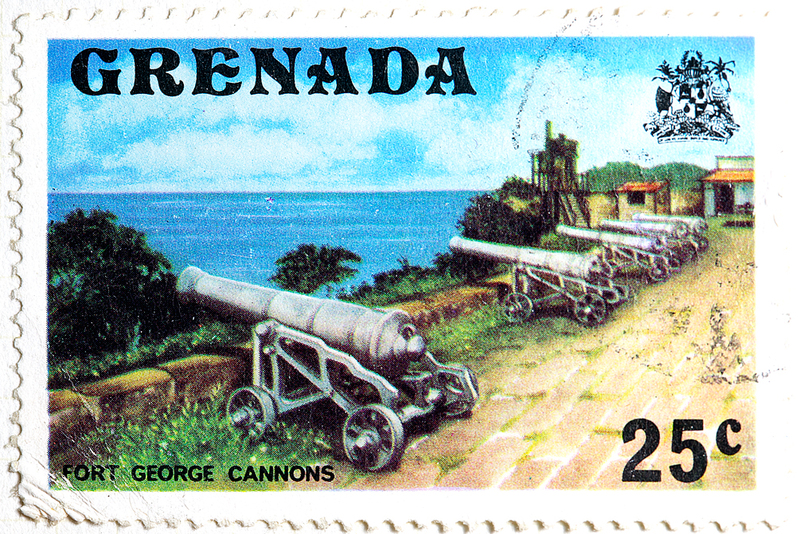 The names of our villages, architecture in our towns and dialect spoken throughout Grenada, Carriacou and Petite Martinique bear reference to Grenada’s intriguing history of South American and European settlements. If you’re a traveller who likes to engage in the history of your destination as much as basking in the sun, then come and discover our journey from colonialism to democracy, which reveals a captivating course of events. Our charming culture is an interesting fusion of old traditions and new generations. In our Carnival, influenced by African slaves and French colonisers, is the prominent presence of the Jab Molassi. Commonly referred to as ‘Jab-Jab’, revellers covered in oil march through the streets to the rhythm of their own drums, alongside the newer addition of revellers covered in colourful paint. This is a unique aspect of our Carnival and showcases the creativity in our culture. 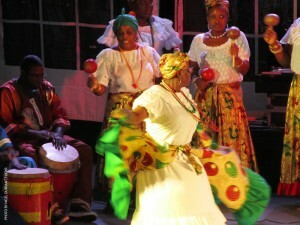 Other displays of our culture can be found in performances showcasing our folk tales and folk dances, the work of local artist and craftsman and the sounds of calypso music. Notable attractions include the stunning Underwater Sculptures where you can combine scuba diving or snorkelling with groundbreaking art. Explore underground tunnels and breathtaking sea views at Fort George. The Belmont Estate is an authentic 17th century plantation showing workings of a fully functional historic plantation. Call and speak to one of our advisors who will help you with all of your holiday needs and a villa that is right for you. We will find you the most suitable villa for your needs at the best price possible. There are no booking fees so any savings are passed back to you. From high-end luxury villas of different styles and architecture to more traditional Caribbean houses, we have an amazing selection of handpicked properties. Get 24-hour support before, during, and after your trip. We live and work in Grenada so are well placed to assist you in any way we can.